Finding information about payments used to require searching in two systems—Garfield County’s legacy hosted document management system and New World Systems. 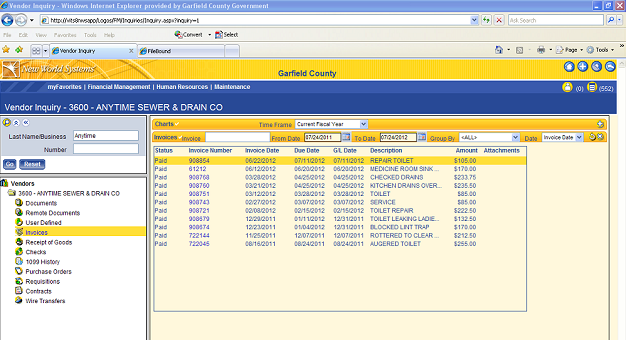 Here is how Garfield County is saving $24,000 a year plus staff time by integrating New World Systems with Laserfiche. 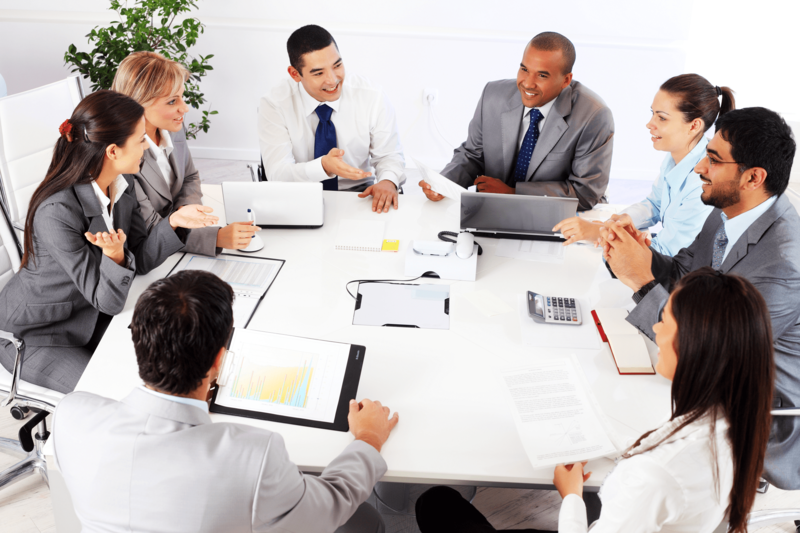 New World Systems helps local governments with such services as financial management, payroll and human resources. 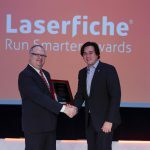 With this New World Systems / Laserfiche integration, an employee in any department logs into New World Systems, searches for a vendor and is able to pull up images of checks and invoices at the click of a button. An employee logs into New World Systems and types in the name of the vendor or a vendor number in the appropriate search bar. When the employee presses “Go”, New World Systems searches for all documents related to this vendor. 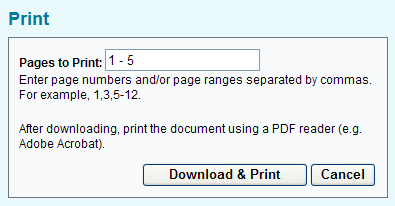 The employee selects the type of document to view. If the employee wants to view invoices, all of the invoices related to that vendor are then displayed along with identifying information. Clicking on one of the invoice numbers opens a page with more specific information about this particular invoice. 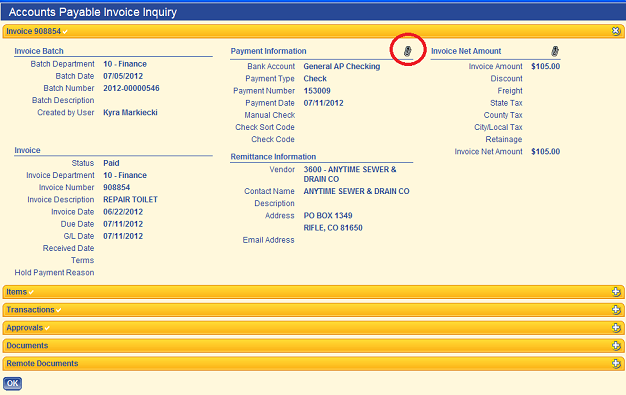 If the employee wants to a view an image of the associated invoice and check, s/he can simply click on the paperclip next to “Payment Information”. Once the employee logs in with proper credentials, the associated invoice/s will open in Laserfiche WebLink. If this check has multiple invoices associated with it, all of them will appear when clicking on the paperclip for this single invoice number. 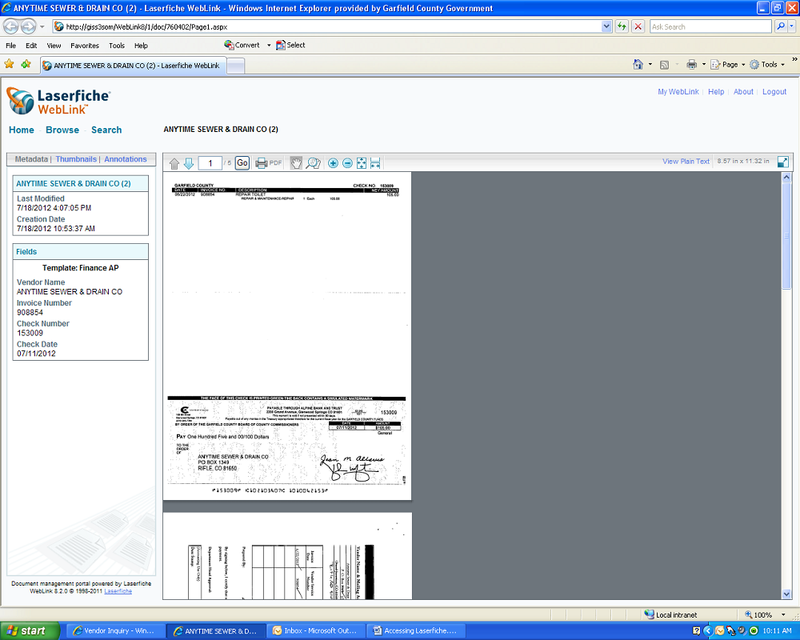 The document is displayed in the right pane, with identifying metadata such as “Creation Date”, “Vendor Name” and “Check Number” featured in the left pane. Documents can be easily exported into PDF format by clicking the PDF button in the WebLink toolbar. We are saving $24,000 a year by no longer hosting our documents in the cloud-based document management system. Employees outside the finance department can find all the information they need in New World Systems. Finance staff members no longer have to conduct searches on behalf of other employees and can allocate their time to other tasks.